1. The Adventures of Robin Hood. It's the one that started it all, so it has to be No. 1. Plus, it boasts one of the finest casts ever assembled and features some of the genre's best meets--the scenes where each individual joins the team. We're treated to the fight on the bridge between Flynn's Robin and Alan Hale's Little John, followed by the swordfight between Robin and Eugene Pallette's Friar Tuck. It doesn't get any better! Yul and Steve, the first two of the Seven. 3. The Andromeda Strain. When a satellite returns to Earth with an unknown (alien?) organism, a team of scientists converge on a biological threat containment lab in Nevada, The Wildfire team consists of: Jeremy Stone (Arthur Hill), the leader; Ruth Levitt (Kate Reid), the cynic; Mark Hall (James Olson), the passionate physician; and Charlie Dutton (David Wayne), the skeptic who wonders if their goal should be destroying Andromeda. You could say that there’s a fifth member of the team and that’s the Wildfire lab itself. One of my favorite scenes in the movie is a virtual tour of the five-level, underground facility as the team goes through decontamination and immunization procedures. Savalas, Bronson, and Trini Lopez. 4. The Dirty Dozen. Tough-as-nails Army major Lee Marvin recruits 12 convicts--doing hard time or sentenced for hanging--to go on a suicide mission during World War II. Overall, the cast and characters aren't as memorable as the preceding films, but it's an incredibly entertaining picture with an amusing first half and an exciting finish. The members of the Dozen who stand out include Telly Savalas, Clint Walker, Bronson again, and John Cassavetes. 5. The Five Man Army. A Spaghetti Western (co-written by Dario Argento) in which Peter Graves plays a mysterious man called The Dutchman (he's not Dutch, though) who recruits four other guys to rob a train guarded by most of the Mexican Army. The cast is "B" grade, but the characters and performers mesh quite well, including James Daly as The Colonel, Tetsuro Tamba as a samurai, and Bud Spencer in his typical role of gruff brute. The train robbery itself is worthy of a heist from Graves' TV series Mission: Impossible. 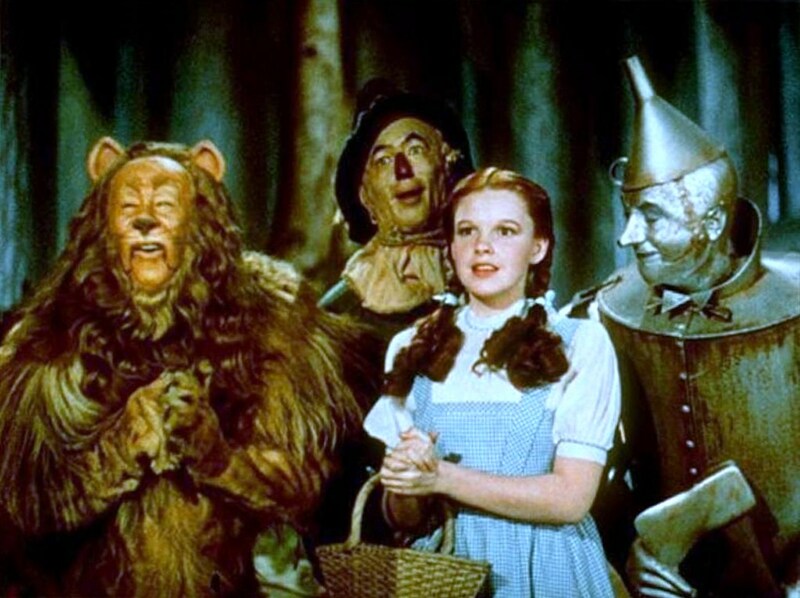 Special Honorable Mention: The Wizard of Oz. This classic would rank in the list above if Dorothy had set out to intentionally form a team. Still, she does form a team, the members bond together, and--when one of their own is captured--the remaining teammates execute a rescue mission. As with Robin Hood, the splendid cast embodies the lovable characters perfectly and the "meet scenes" are the most memorable in this genre. Other Honorable Mentions: The Asphalt Jungle, Kelly's Heroes. I, too, enjoy movies detailing characters assembled for a job or singular purpose. You've got the best of them in your list -- THE MAGNIFICENT SEVEN, THE FIVE MAN ARMY, THE ASPHALT JUNGLE -- but my wife and I also really like OCEAN'S 11, as the Rat Pack and Co. come together to steal a whole lotta money (the 2001 remake also did a great job with the concept). The "Robin Hood Syndrome" never seems to get old, as movies with that plot device are still being made. Just this month, Takashi Miike's 13 ASSASSINS was released on U.S. Blu-ray/DVD. The upteenth cinematic team put together, but it's still immeasurably fun. Any list that begins with Robin Hood is a good list! That one is the most fun, I believe, in getting the characters together, and you mentioned my favorite parts in that effort. Magnificent 7 - what a team! Watching them come together is so exciting, and you really know each one well by the time their quest begins. Strangely, I just put Andromeda Strain on Netflix so I could watch it today. Fantastic movie - the team may come together reluctantly, but each one is so unique and interesting. Do you believe I have never seen The Dirty Dozen? I think when it first came out I was not at all interested. I do actually want to see it now, as well as 5-Man Army, which I haven't seen either. I couldn't help but think of the old Mickey Rooney/Judy Garland movies "Hey kids, let's put on a show - we could use Mr. Fletcher's barn, and and Johnny could play sax and Betsy could sing...." Then they would put together a Broadway show that wouldn't fit in any barn I've ever seen! Love those. Great post, Rick! I love how in "The Dirty Dozen" Lee Marvin whups those cons together to form them into a Nazi-busting machine - one of my faves! It's interesting to compare the leaders of these teams - Robin Hood/Flynn has a passion for justice but also enjoys his mission, Yul Brynner is total cool, Marvin is even cooler. I also like the team that comes together in "The Great Escape" - we get to watch how the POWs form their plans for the escape, seeing the specific task each one does for which he is uniquely qualified. Great post! This is one of my favorite of the "5 Best" series this summer! Gathering a respectable entourage does indeed make for wonderful story telling. The cast of "Adventures of Robin Hood" is brilliant and the color is impeccable, too. "The Magnificent Seven" is very entertaining though Steve Mcqueen does pose in his hat quite a bit and Brad Dexter is the least memorable member, yet the music theme is rousing and unforgettable. "The Andromeda Strain" is the most different choice on the list and quite fascinating. I also enjoy watching the team experience the different levels of decontamination, etc. "The Dirty Dozen" is ultimately quite touching. I can't recall "The Five Man Army" well but have a definite fondness for "The Wizard of Oz." Regardless of the intention for the unusual friends coming together, they did, and formed one of the most memorable and lovable groups to ever grace the silver screen. One of your best posts ever, Rick! And thanks for rounding up the followers of the Classic Film and TV Cafe. Great idea for a post. I love movies where people band together for an ultimate goal. I might even say it's my favorite sort of film. THE MAGNIFICENT SEVEN is the perfect example of this. ROBIN HOOD too, of course and THE DIRTY DOZEN. I'd never thought of WIZARD OF OZ as this sort of movie, but on second thought, why not? I've never seen THE ANDROMEDA STRAIN or FIVE MAN ARMY. SILVERADO might be another to consider. Though the men come together kind of loosely. The Wizard of Oz should have made the cut. They came together to go to Oz. The magificent seven came together to save a town, or so I've read. I'm not fella who like westerns. The Dirty Dozen came together to save their necks. So what can't The Wizard Of Oz get past Honorable Mention ? But as CB said "any list that begins with Robin Hood is a good list". Cannot argue with the choices listed here as top five! And though nowhere near the listed films in filmdom history, I will mention one because it's unique for having been directed by a woman - "A League of Their Own." I know, 'League' doesn't gather a team to fight the great battle or steal from the rich, but the members DO find the will to "fight" where only complacency and uselessness would have been the order of the day. AND, yes, I know the "former" of this team is MLB, not a leader with purpose of heart and mind, or of great wisdom and courage, but a leader with purpose and the greater good in mind surfaces nonetheless.